Summer has officially begun here in beautiful Big Bear Lake! Our daytime temps are climbing into the 70’s and all of your favorite summertime activities are in full swing!! Escape the city and the heat by booking a Big Bear Vacation Cabin with RS Vacations and enjoy a few days in paradise! We have cabins to meet any group’s needs and we also have some fantastic packages with discounted prices on great activities! Visit us at www.RSVacations.net. Come on up and enjoy summer in the mountains at this cute and cozy gambrel. You will love the wood beamed ceilings and wood flooring and fun decor throughout. A new and spacious country front porch can be enjoyed any season of the year. The home is also close to the national forest! The living room has seating around a wood burning stone fireplace. After a day on the lake, a large flat screen is provided for your viewing pleasure with DVD and WiFi as sweet additions. An adjacent fully equipped kitchen is ready for your mountain cooking. A queen sleep sofa is located in the living room and a half bath is also conveniently located downstairs. The master bedroom upstairs has a comfy queen bed and the fun guestroom has a double bed. Each bedroom also has a flat screen TV with DVD player. Sweet! A full bath with shower/tub combo is located upstairs between the bedrooms. View more photos, check availability and book Bear Country Getaway online at RSVacations.net today and treat yourself to an amazing Big Bear Lake Vacation. 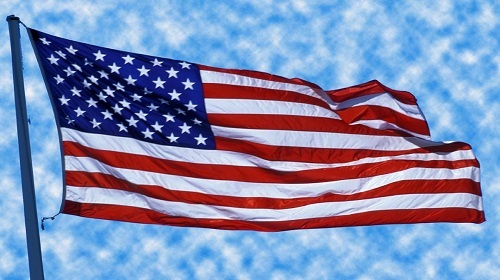 Whether you get the chance to visit a loved one’s burial site, get together with extended family, or just have the day off, take some time to remember those who lost their lives establishing and maintaining the freedoms we enjoy today. This weekend marks the official beginning of summer in Big Bear Lake. The weather is beautiful, the sky chair opens for the season and the lake is open for business. RS Vacations still has cabins available at a great rate and with a special last-minute deal: Book 2 nights and get the 3rd night FREE! Book your Big Bear Getaway Cabin online today at RSVacations.net – Come up, beat the heat and enjoy a weekend of fun in the mountains! Wild Wednesday: Memorial Day Madness!! Looking to escape the city this Memorial Day Weekend and get away from it all? RS Vacations has an unbelievable last-minute special going on right now!! 3 Nights for the price of 2!! Book securely online – the special will pop in automatically when booking. 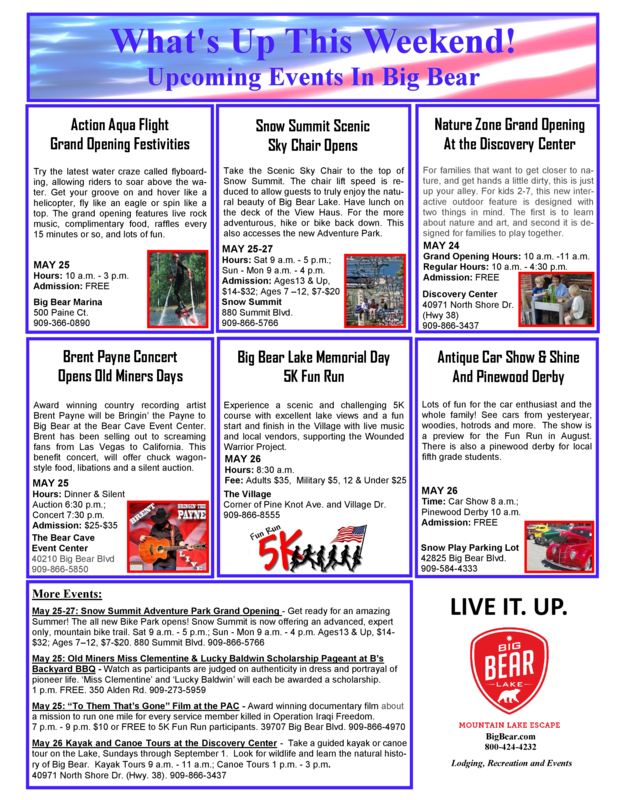 Plus, you can choose an activity package to add to your order for some family fun. Book today!! 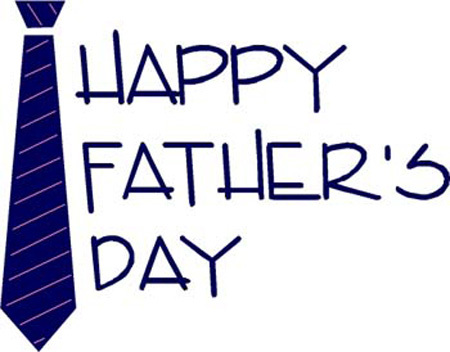 Father’s Day is fast approaching, and wouldn’t it be nice to get dad something other than a tie?? Dad works hard all year and deserves a little R & R! We here at RS Vacations have just the thing to knock Dad’s socks off! 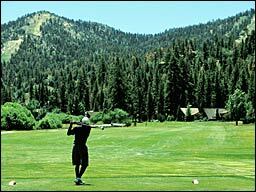 How about a weekend golf getaway in Big Bear? Whether he wants to play the full 9 rounds or just practice his swing at the driving range, it’s up to him!! The course provides a tranquil atmosphere for players of all abilities, and is complete with a pro shop where you can rent Titleist golf clubs and reserve golf carts. Dine with us at the Club House Grill, which offers a variety of food for the hungry golfer. Come play in mild summer breezes, aromatic pine trees and blue skies for a unique golf experience. After a day of golf, Dad can fire up the BBQ at your own private cabin and grill to his heart’s content. When the kids head to bed, enjoy a romantic soak in the spa or snuggle in front of the cozy fireplace. RS Vacations has cabins to fit any families needs, including this week’s Spotlight home: Pine View Escape – a beautiful cabin in a quiet neighborhood that features a Ping Pong Table and Spa. 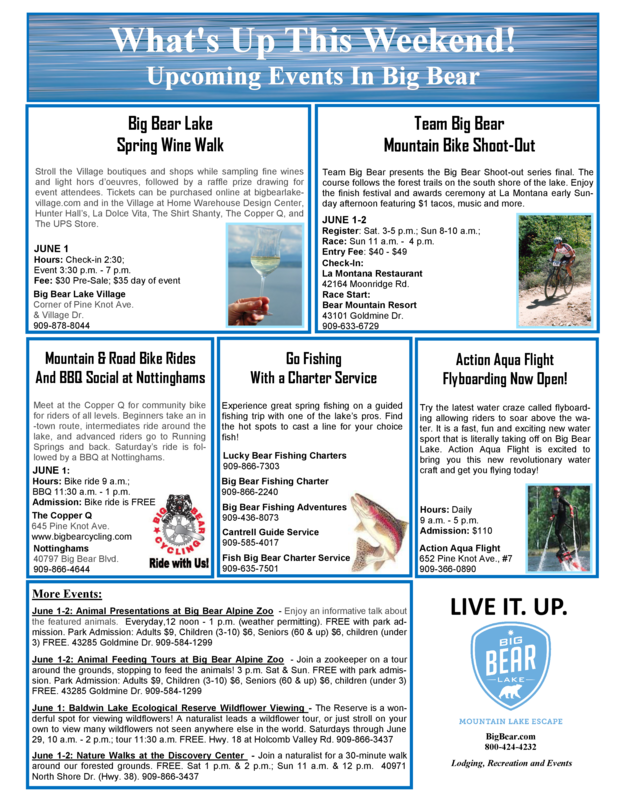 Visit us today and plan your (and Dad’s) perfect Big Bear Escape!